Summary: "New York City has been decimated by war and plague, and most of civilization has migrated to underground enclaves, where life expectancy is no more than the early 20's. When Deuce turns 15, she takes on her role as a Huntress, and is paired with Fade, a teenage Hunter who lived Topside as a young boy. When she and Fade discover that the neighboring enclave has been decimated by the tunnel monsters—or Freaks—who seem to be growing more organized, the elders refuse to listen to warnings. And when Deuce and Fade are exiled from the enclave, the girl born in darkness must survive in daylight, in the ruins of a city whose population has dwindled to a few dangerous gangs. As the two are guided by Fade’s long-ago memories, they face dangers, and feelings, unlike any they’ve ever known." First line: "I was born during the second holocaust." Thoughts:I'll admit, I kept putting this one off. After being pressured practically every day (Thanks, Karen and Tiger! ), I finally caved. Boy howdy, am I glad I did! Fans of The Hunger Games will be thrilled to hear there's a book out there that actually compares. Enclave is a terrifying, yet engrossing read that will keep you up waaaay past your bedtime. Welcome to the holocaust part 2. The story starts off with Deuce's naming ceremony. You see, since most people in their world don't live past the age of 40 (and the eldest person there is 25), children are not given names at birth. They are named at their ceremony and also receive scars on their arms for the task they will bare (Breeder, Builder or Hunter). Till this ceremony, all children are deemed brats and a number. Deuce is a Hunter. She finds food for the Enclave and battles Freaks (ridiculously scary versions of crazy, psychotic zombies). Though she was born from a Breeder, she always knew she was meant to be a Hunter. After her naming ceremony, she is partnered with Fade, an outsider who used to live on the surface. Fade is quite possibly the best Hunter the Enclave has, but he clearly doesn't agree with the Enclave's laws, rules, and beliefs. And soon enough, he'll have Deuce questioning everything she thought she believed in. One thing I will say about this book is, I think the summary gives way too much away. I mean, that's basically the first 100 pages of the book! Though, yes, the first 100 pages does have more than JUST that, the summary spoils it a little. I hope they might consider rewriting it. Moving on, usually dystopian novels are either hit or miss for me. It all depends on the world building. 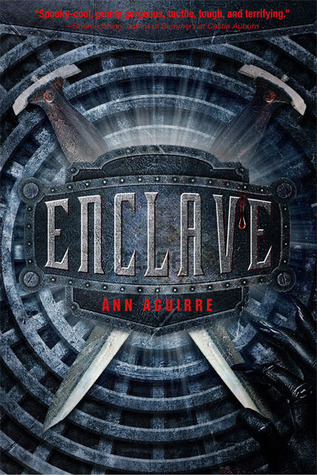 In this case, Ann Aguirre does a fantastic job creating the setting for Enclave. 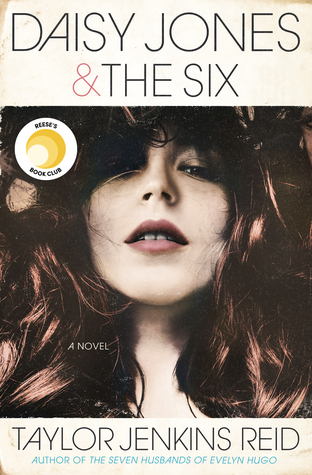 Not only does she display a great amount of description and emotions into her writing, she'll also have you hooked and invested in all of the characters. One question I found myself asking over and over again is what would I do if everything I thought I believed in was wrong? Runaway? Pee in my pants? Probably. And Fade. Ooooh, how I loved Fade. He is (as far as boys go) a breath of fresh air. I loved the way he challenges, yet protects Deuce. He meant it when he told her he has her back. I'll admit, there's not a lot of romance in this book, but that's okay. The potential alone will have your heart racing. Action packed, horror filled and just an all around good time, Enclave is a book you don't want to miss. I do suggest making sure you have plenty of reading time before cracking this one open. You won't want to stop until the very last page. I can't wait for the sequel, and I'm sure once you finish, you'll feel the same way! PS I'm really glad that you liked it!! So should I just wait for the sequel? I like long, complicated stories, but I hate reading the first in a series and then waitingfor the next book to come out a year later. By that time I've forgotten too much. Actually I wasn't going to read this one, the cover didn't exactly appeal to me. Thanks for sharing it. @Karen- LOL! Forgive me, I should have never doubted you!